My litter picking group are collecting littered cans and using them to raise money for our local Charity , Love Lillington. We want a recycle bin as picking the cans is a lot of hard work. My litter picking group Friends of Black lane have cleared kilos of rubbish from our target area every month for 3 years. Much of the litter comprises of lager cans. Recently we teamed up with our local Charity, Love Lillington to make them some pennies. We are now litter picking, crushing and delivering hundreds of cans as part of the Every Can Counts scheme. 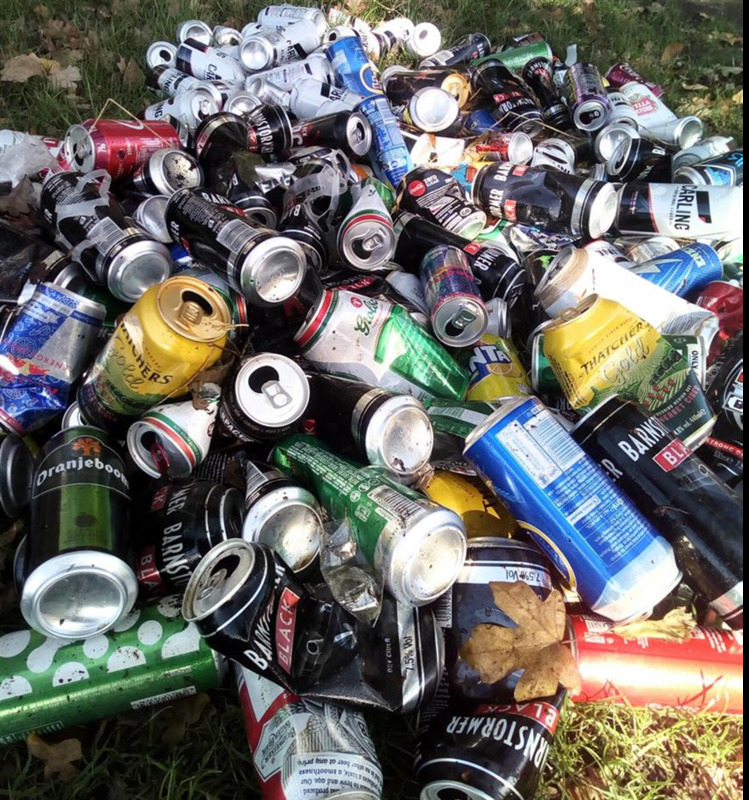 Whatever cans we collect are taken by Crow Recycling , a social enterprise based in Coventry, in exchange for a small monetary amount that goes to Love Lillington. A recycling bin for cans with a can crusher - suitable for outdoor use, fire retardant and properly installed. I think that a group managing a recycling bin to collect cans in order to raise money is a great model for many neighbourhoods. 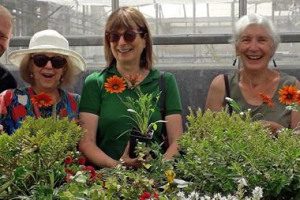 Our aim is to look after our environment - it's great that we are helping our community in other ways alongside this. We have talked to the Council who won't supply a bin but would be happy to install one. 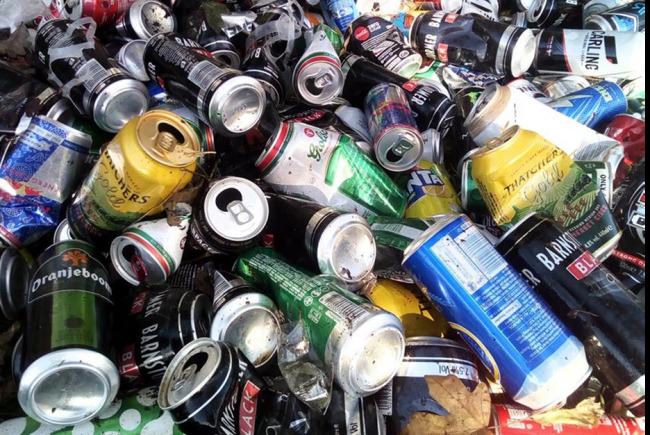 If we have a bin, it will make it a lot easier to collect cans - rather than picking them 'by hand'. It will also act as an incentive for individuals to bin their cans if we make the purpose of the bin clear. Not only are we clearing litter from our neighbourhood we are also working to help our local charity. The charity in question gives practical aid to families and individuals who are struggling. in our Parish area. This ranges to supplying and fitting a new carpet too help in the garden. My name's Ange Owen and I've been campaigning about litter for fews years now. It started by creating a litter pick back in 2015 - it quickly became clear that the area we had chosen to litter pick would need regular attention. So, since 2015 come rain or shine my small group have been making our neighbourhood litter free and healthier. We collect an enormous amount of lager cans. Up until recently the cans have gone off with the other kilos of litter to landfil. There was no arrangement that could be made with the Council to take these cans off for recycling - all very complicated Council stuff! Frustrated, I looked for ways that the these aluminium cans, a valuable resource, could be reused. I came across Crow Recycling in Coventry who are a social enterprise. They collects cans from organisations, schools, businesses etc to be smelted and reused. In reurn for the cans a little money is given. I got together with our local church who run a very successful scheme called Love Lillington. Money goes towards helping those who are struggling within the Lillington parish boundary. We arranged that my group would collect the cans on our litter picks and money from that would go towards their very competently run benevolent scheme. It was a win-win! However - our collection of cans would be far easier if we could install a can recycling bin specified for this purpose! Not only would it make collection easier but might also encourage our residents lager drinkers to use a bin! Project Delivery Manager: Angela Owen The Project Delivery Manager takes legal responsibility for receiving and spending the funds raised and ensuring the project is delivered.